DKSH Malaysia recently launched Batiste dry shampoo, offering consumers like us the fastest and easiest way to great looking hair. Batiste is a classic dry shampoo that instantly refreshes your hair between washes, leaving it clean, fresh and full of body and texture. Let's face it, maintaining great looking hair that smells fresh throughout the entire day can be a challenging mission because we have a hot and humid climate in Malaysia. Batiste dry shampoo is the perfect solution if you need fabulous hair quick. Just slip a handy can of Batiste into your handbag and use it anytime, anywhere to freshen up your hair or if you need a quick fix on a bad hair day. Just spray, massage in and style!!! Yeah... it is that simple!!! Inspired by London’s fashion style, Batiste is set to become the next hairstyling trend here in Malaysia. Batiste has been the UK’s number one dry shampoo brand for over 30 years, offering consumers the fastest and easiest way to great looking hair. Batiste dry shampoo uses an innovative starch based “no water needed” formulation that does not leave any residue. Batiste targets excess oil and grease, help to eliminate it at the roots, giving any dull, lifeless hair a quick makeover. This instant remedy saves time spent on hair styling and reduces the use of chemicals on your hair. 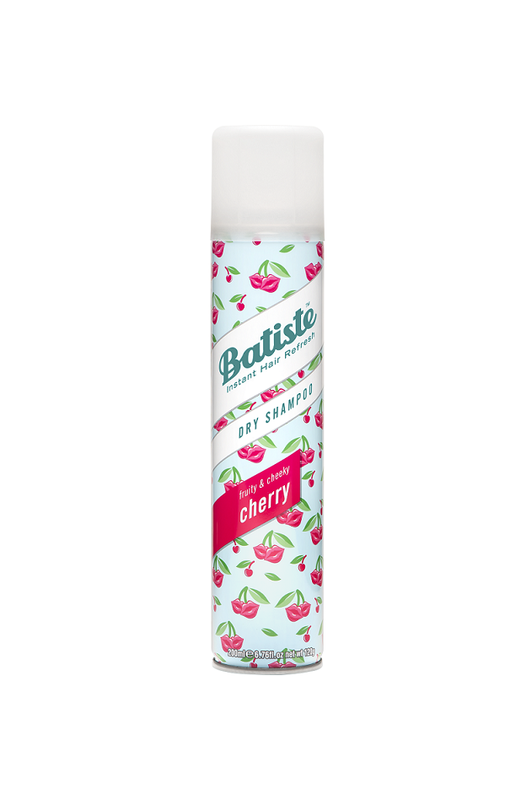 Batiste dry shampoo comes in some pretty trendy designed canisters that are inspired by global catwalk trends. The Original, Blush and Cherry, are available in two sizes – 50ml (RM 10.00) and 200 ml (RM 31.70) while Divine Dark and Heavenly Volume are only available in 200ml (RM 31.70). 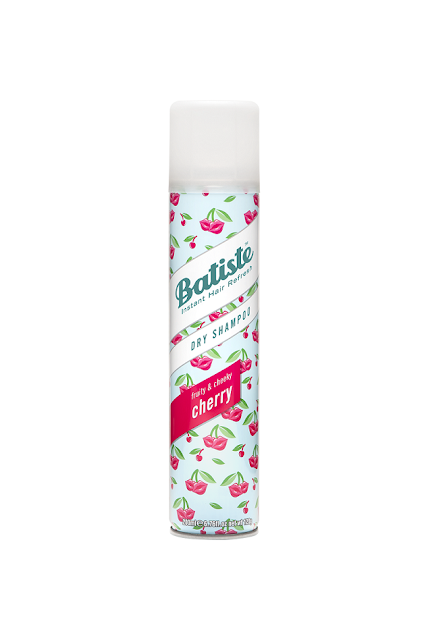 I got the cherry scent and found out that I actually sprayed too close to my hair, leaving plenty of whitish residue on my hair, hence I had to wash it off immediately. Can't wait to use it again, this time correctly. First time heard about dry shampoo. A great product for fast and clean hair. 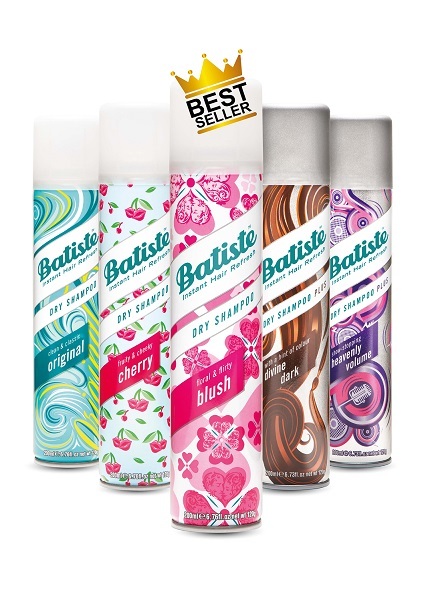 Awh been hearing so much about Batiste and I have to say their dry shampoo works wonders. The original one certainly looks very tempting to get. oooh, didn't know there's a cure to stinky hair other than washing it. interesting! Nice! Been using dry shampoo after I did hair bleaching, gonna try this, I hope this one won't really cause skin dehydrate. Using hair loss products like solutions, shampoo, Hair loss conditioner and medicine need certain kind of directions for its use. Otherwise it may prove harmful to the existing hair.